Krishna Yoga Studio Yarmouth, Yarmouthport, Cape Cod, MA Svaroopa yoga, Embodyment yoga therapy, Personal Inquiry Counseling, Introductory yoga, private and class instruction. The word svaroopa (sva-roo-pa or swa-roo-pa) is Sanskrit meaning “the bliss of your own being”. This practice allows you to be within your self in a new way. You will come out of pain, move with ease and reduce mental stress and fatigue. This core opening affects both body and mind. Suddenly, you feel calmer and more relaxed. You also gain a renewed sense of energy. Your mind settles down as your body unwinds. Your stress levels will reduce as you release into the bliss within. All are welcome as this style of yoga is accessible to most everyone. 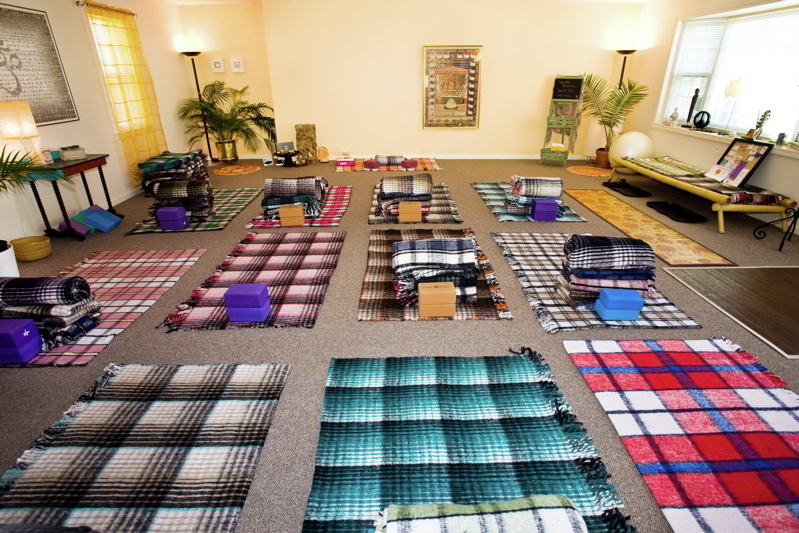 The KrishnaYoga studio shown below is an oasis of calm. Svaroopa® yoga is a profoundly healing and amazingly compassionate approach to physical, mental and emotional health. Decompressing the spine has many surprising benefits. Be balanced inside and outside. Want to manage your reactivity to life? The good news is you can. Svaroopa® yoga is a less active, blissful practice that releases core tension in your spine. Yoga Classes, introductory and on-going, Embodyment® yoga therapy, Supported Self Inquiry (which combines my training & experience as a licensed mental health counselor with yoga philosophy) , Private yoga classes. Questions? Contact Krishna@KrishnaYogaStudio.com Get directions: Map to KrishnaYoga Click here to view Studio policy. Svaroopa and Embodyment are registered service marks of Svaroopa Teachings Collection, Inc., used under license.